Everyone’s gone coastal this summer looking for the perfect combination of sun, sea and surf. But whether your raffia tote rests in Thailand or Malibu, your sunscreen and bronzer aren't far behind. We didn’t have to reach far to find the products that have earned a permanent position in our summer totes. 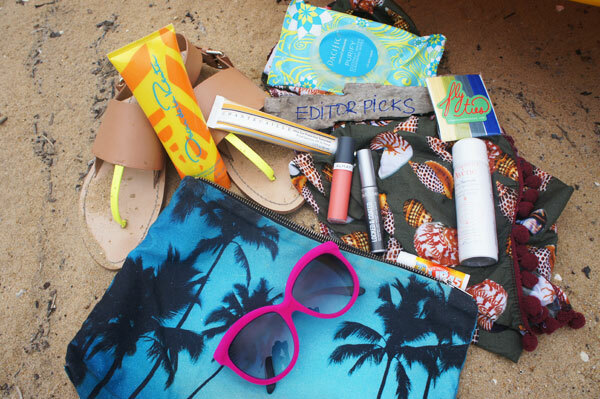 Our Associate Beauty Editor Klaudia packs these products for every beach trip. Oscar de la Renta Moisturizing Sunscreen SPF 30 ($42 at OscardelaRenta.com). Okay - so I may not be able to afford an Oscar de la Renta creation, but who says I can't add a bit of luxury to my beach bag with the designer's sunscreen? It has just the right amount of SPF to keep my skin from turning as red as Sebastian from The Little Mermaid, yet I get a hint of beautiful color that proves I made it to the beach. Plus, the packaging is much better looking than any other SPF I have. Pacifica Purify Coconut Water Cleansing Wipes ($6 at PacificaPerfume.com). Confession: I hate drinking coconut water. I try to like it, but it just doesn't go down very easily. These coconut water-infused towelettes are another story. They're ideal for reviving my skin after a long day in the sun and the blend of papaya, aloe vera and calendula soothes and exfoliates my complexion on the go. Fine Featherheads Macaw Fly Ties ($7.95 at FineFeatherheads.com). This is the first summer in four years that my hair is long enough to tie up. So, naturally, I have to have the brightest hair ties for my ponies and top knots. These Fly Ties come in so many colors and won't snag or break my hair - win, win! Chantecaille Ultra Sun Protection Sunscreen Primer ($89 at Chantecaille.com). When it comes to my face, I refuse to expose it to the sun for even a second. That's why my moisturizer, primer and BB cream all have to have SPF. The more layers, the better, right? The luxurious primer leaves a flawless canvas for the rest of my makeup and delivers broad spectrum protection at the same time. bareMinerals Locked & Coated Waterproof Lash Topcoat ($12 at BareEscentuals.com). I love my mascara too much to swap it for a waterproof version in the summer. The next best thing? This Waterproof Lash Topcoat. Just two swipes of this invisible potion prevents racoon eyes after a dip in the ocean. (Just call me the Jay-Z of beauty editors). Almay Color + Care Liquid Lip Balm in Apricot Picker ($5.99 at Ulta). If I can hydrate my pout at the beach and wear a pop of color without looking overdone, then why wouldn't I swipe on this conditioning and hydrating liquid lip balm? It's far from sticky and comes in so many pretty hues. Avene USA Thermal Spring Water ($12 at Drugstore.com). I over dose on facial mists during the summer - it beats dunking my face in the salt water and burning my eyes. #owww! Ocean Potion Moisturizing Lip Potion with SPF 45 ($1.99 at Drugstore.com). I may not be as addicted to lip balm as my fiance, but when I'm out in the sun, my lips scream for something to protect them from the harmful rays. 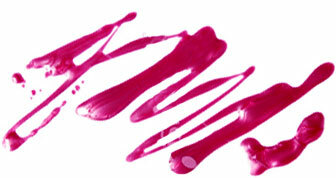 I constantly reapply this Lip Potion with SPF 45 - it makes my pout very happy.